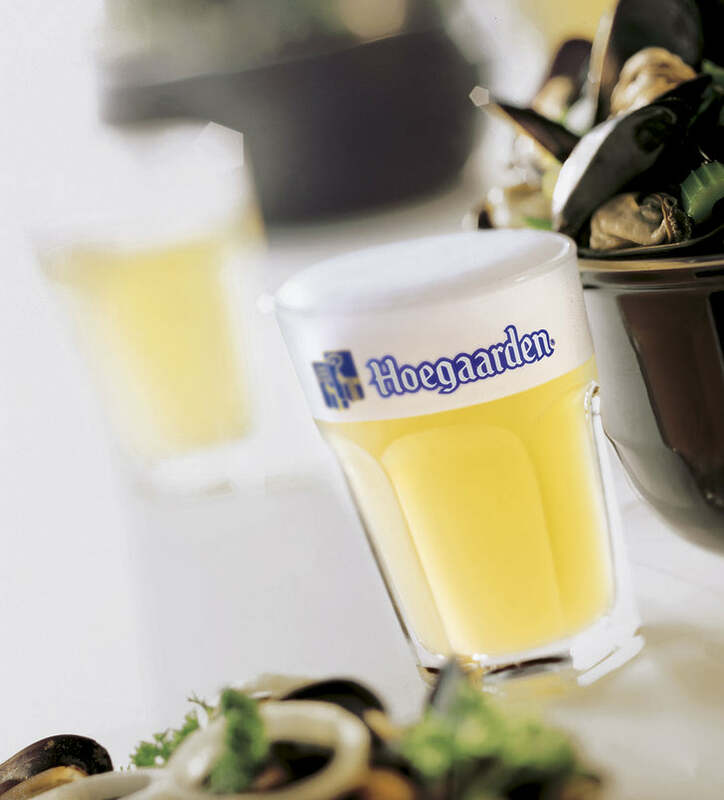 Belgian white beer (or Witbier) has a unique cloudy-white appearance with very little bitterness, some spiciness, and a slightly sour/tart finish. There is a very light sweetness with soft, creamy feel that is not cloying or heavy. None of the flavours or aromas stand out, making for a light refreshing beer with a moderate alcohol level usually hovering around the 5% ABV mark. Wit beers are usually quite cloudy from starch haze, with a very light straw to light golden colour. It's a refreshing beer for hot summer days. 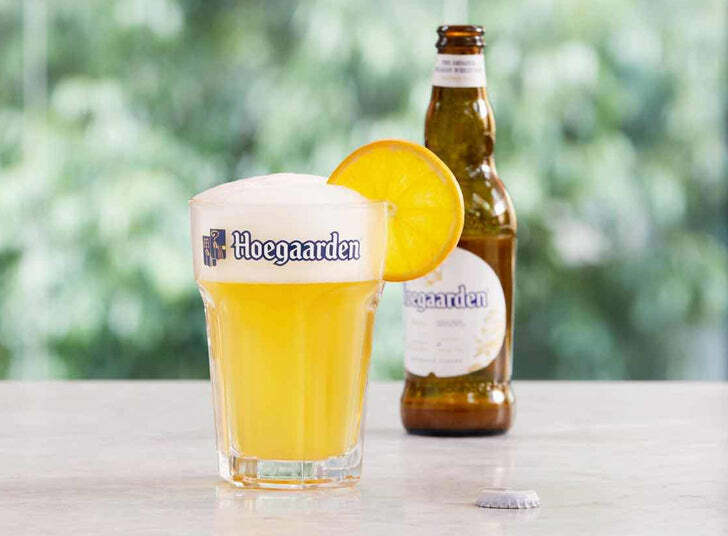 Arguably the most popular commercial version of this beer is Hoegaarden, named after the village near Tienen in Flanders, which was the modern birthplace of witbier. Records of brewing in the village date back to 1445, when the local monks were enthusiastic brewers, but the tradition died out in the 1950s as consumer tastes moved towards different styles. Ten years later, Pierre Celis, a milkman who had grown up next to the brewery and sometimes helped with brewing, decided to try to revive the style. He started a new brewery, called de Sluis, in his hay loft. He used the traditional ingredients of water, yeast, wheat, hops, coriander, and dried bitter (Curaçao) orange peel. In the 1980s, with demand for the product continuing to grow, Celis bought a former lemonade factory, to expand his brewing operations. Things changed after a fire in 1985. As is traditional in Belgium, several brewers offered their help to keep the business going and Interbrew (now InBev) lent money for the purchase of other buildings to rebuild the brewery. Over time, Celis felt very strongly that the company used the loan to pressure him to change the recipe to make the beer more "mass market". 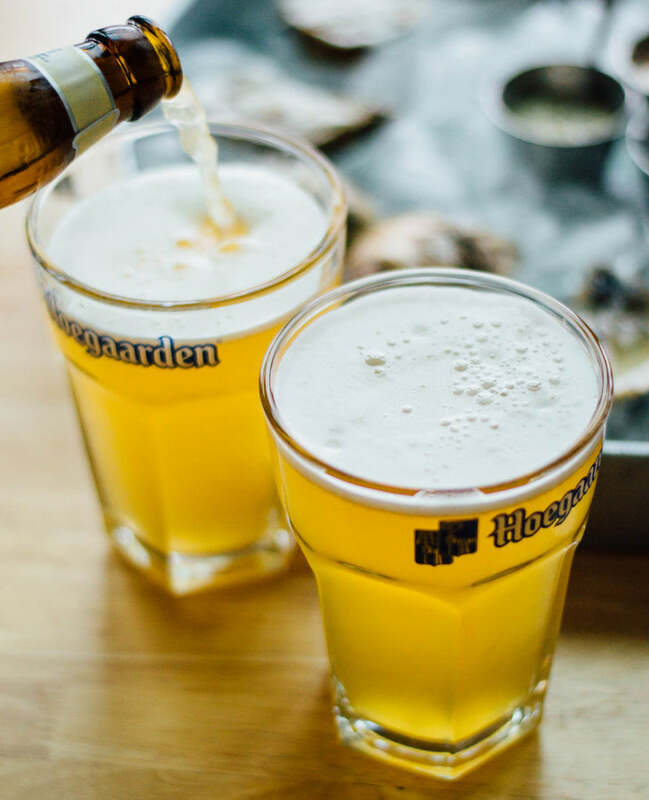 So Celis decided to sell them the brewery and moved to the United States where he set up the Celis Brewery in Austin, Texas, to continue making witbier to what he described as the 'original' Hoegaarden recipe. It was later acquired by Miller Brewing who eventually closed the brewery and sold the equipment and brand names. Most Witbier recipes will call for crushed coriander along with the zest of fresh (or dried) oranges. I find that much of the spicy flavour behind a Belgain Wit already comes from the yeast (White Labs WLP400 Belgian Wit or Wyeast 3944 Belgian Witbier) so I will often completely leave out the spice and orange peel. Try it either way and see which you prefer. One easy way to do this without actually brewing the beer twice is to brew the recipe as listed but omit the spices from the boil. Once the beer is done fermenting, make a tea with the spice and peel by boiling them in a cup or two of water for 5 minutes and then add slowly to a pint of beer with eye dropper, a few drops at a time, stirring gently and tasting. If you prefer the results, add a little bit at a time to the entire batch, stirring gently, until the taste is where you like it. Remember that you can't remove spices once added so go slowly, and depending on the age of the coriander seed and orange peel you use, the amount of flavour imparted can vary. For a variation, try fresh bitter orange peel instead of dried. Make sure to only use the outside skin of the orange, none of the inner (white) pith. Some recipes will also call for chamomile flowers as a reportedly "secret" ingredient that Celis used in the original Hoegaarden recipe. He debunked this in later interviews indicating that coriander and bitter orange peel was all that he ever used. I first brewed this on August 5, 2013 (batch #160) and a few times since then. Brew up a batch and let me know how you like it! Mash at 122F for 15 mins, then raise to 154F and hold for 90 mins. Cool wort to 68F and aerate well. Start fermentation at 68F and raise to 72F for the last third of fermentation. Package as you would normally. This beer should be served at higher than normal carbonation, around 2.5 to 3.0 volumes of C02. *Flaked wheat and oats do not have a husk so the natural filter bed in the Mash/Lauter Tun is greatly reduced as the recipe is 50% flaked wheat and oats. Brewers with systems that are prone to stuck sparges should add rice hulls at a rate of about 20:1 wheat to rice hull ratio to avoid stuck sparges. We do not need to use rice hulls with our electric brewery setup. More information. That looks very much like my own tried and tested Wit! The only suggestion I would offer is to use Indian Coriander. It has much more citrus aroma than the earthy regular coriander. It's very similar to mine as well, though I use (for 12 gal): 3 oz. of fresh orange peel (actually, if you can get some different oranges, a mix of tangerine, navel, mandarin and tangelo works very nicely and gives it a bit of depth. Additionally, I'll add about 2g of chamomile at 5 min. As it warms up, the chamomile comes out and changes the character of the drink. so far, i've had nothing but compliments for the recipe. Is it intentional that the hop addition is at 60 min but the recipe also calls for a 90 minute boil? The 90 minute boil is to make sure all the DMS boils off, common boil time for pilsner malts. Correct again. It may - I'm not sure. There's no benefit boiling longer so I don't / don't take the risk. My house beer is wit. Starting brewing in the summer, but now brew it year round. I use cheap 2-row instead of pilsner malt. I also bump the alcohol up 5.8% or so. I do use chamomile and a little less coriander. I also started using imported bitter orange marmalade instead of orange peel. It adds a little sugar, but so much easier and fresher tasting than peel. I always do the 122 F protein rest, you ever try without it? I always do the 122 F protein rest, you ever try without it? Nope! Not with this beer/grain combo. Good question. I'm not sure actually. Jamil recommended it in his book, the beer turns out great, so I keep doing it! I just finished the first keg on this batch. Nice light wheat. I'll run this one again early next summer. Have a long schedule planned between then & now. I've just made your fine recipe for this beer and I'm about to keg. As this beer is normally cloudy when served, do you bother to use gelatin and/or crash cool? Nope! No need for any finings. Cheers! Thanks Kal. What I will do then is keg straight from the primary - I didn't bother to use a secondary. Been at 1.011 for 4 days now, so ready I think.